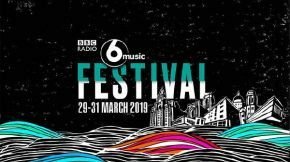 Liverpool will be the host city for the 6 Music Festival 2019, taking place in venues across the city from Friday 29 to Sunday 31 March. Lauren Laverne recently announced the details and full line-up on the BBC Radio 6 Music Breakfast Show. The line-up features The Good, The Bad & The Queen, Anna Calvi, Jon Hopkins, Hot Chip, Charlotte Gainsbourg and Ex:Re. Plus Little Simz, Bodega, Gang Of Four, Villagers, IDLES, Slowthai, Fontaines D.C., The Cinematic Orchestra, Chali 2na & Krafty Kuts, Jungle and Marika Hackman. Liverpool is a city with music at its heart and the 6 Music Festival will be celebrating this both in the build-up and across the weekend with performances from She Drew The Gun, Bill Ryder-Jones (acoustic) and Stealing Sheep. Following Lauren, Mary Anne Hobbs will broadcast her show live from 10.30am-1pm from Bluecoat, which is Liverpool’s centre for the contemporary arts and the oldest in the UK. She will hear from Anna Calvi, Villagers, Craig Charles and Clinic and there will also be live performances from The Coral, Stealing Sheep and poet Amina Atiq. The 6 Music Festival By Night will take place at Eventim Olympia and Mountford Hall from Friday to Sunday. 6 Music Festival Late will take place over Friday and Saturday night at the Invisible Wind Factory, with DJ sets from the likes of 2manydjs, Erol Alkan, Max Cooper and Craig Charles. 6 Music Festival By Day will feature spoken word, poetry and live performances at Camp & Furnace on Saturday and Sunday including performances from Liverpudlian legends Julian Cope and Roger McGough. On Thursday 28 March, Steve Lamacq will be broadcasting his show, including Round Table, from The Cavern Club in Liverpool followed by a live event in the evening from BBC Music Introducing as part of BBC Radio 6 Music Festival. 6 Music’s Tom Robinson and Dave Monks from BBC Music Introducing in Merseyside will host the evening including a line-up of performances from Red Rum Club, Queen Zee, Zuzu and The Mysterines. This is a free entry event, with doors opening at 7.45pm. Previously, the 6 Music Festival has visited Belfast as part of BBC Music’s Biggest Weekend (2018), Glasgow (2017), Bristol (2016), Tyneside (2015) and Salford (2014). Mountford Hall: Charlotte Gainsbourg; Gang Of Four; Fontaines D.C. The 6 Music Festival by Day is a celebration of live music, conversation and spoken word. It takes place at Camp & Furnace on Saturday 30 and Sunday 31 March from 11am until 5pm. Conversations/panels: The First Time: Craig Charles with Matt Everitt; IDLES in conversation with Steve Lamacq; Making Music In Liverpool with Liz Kershaw; Little Simz with Lauren Laverne; The Dancefloors of Liverpool with Nemone, plus more to be announced. Conversations/panels: Julian Cope in conversation with Mark Radcliffe; Roger McGough and Cerys Matthews; Psych In The City with Stuart Maconie; Charlotte Gainsbourg in conversation with Amy Lamé, plus more to be announced. There will also be a whole heap of other great stuff, including an Independent Record Fair, 6 Music Bingo with Jonny Bongo, live screen-printing, a gig poster exhibition from Gigs & Graphics, cake and coffee from the Iron Maidens Women’s Institute and some seriously good street food. 6 Music Festival will broadcast on 6 Music and BBC Sounds across the weekend, with all the performances from Eventim Olympia and Mountford Hall available to watch live and in full at BBC iPlayer and at bbc.co.uk/6music, with catch up for 30 days afterwards. BBC Red Button will be available all weekend with live and on demand highlights. BBC Four will broadcast a Best of 6 Music Festival show (Sunday 31 March). There will also be music mixes available on the BBC Sounds app.